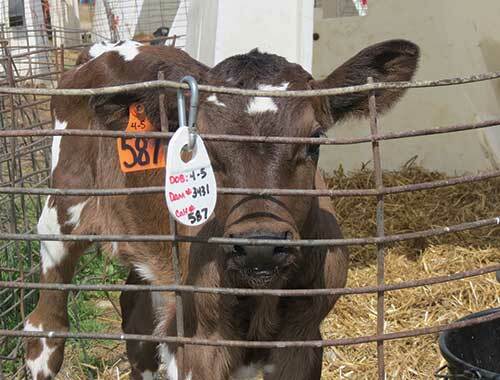 When our primary calf feeder had time off, we sometimes got behind on tagging calves. We came to the solution of using plastic tags and dry erase markers that we simply place on the hutch when she is moved out of the calving pen. This way, we can keep calves straight until we get them tagged. Having the birth dates in easy view also helps aid in feeding the additives we provide for the first two weeks of life.